Last Friday Pusha T dropped Darkest Before Dawn: The Prelude, his second solo LP under the G.O.O.D. Music imprint. This album serves as the...prelude (you got it, just shout it out when you know it) to his much anticipated King Push album. While he felt his first solo LP My Name Is My Name should have won 'Album Of the Year', Pusha T feels that King Push has a greater chance to garner the accolade. 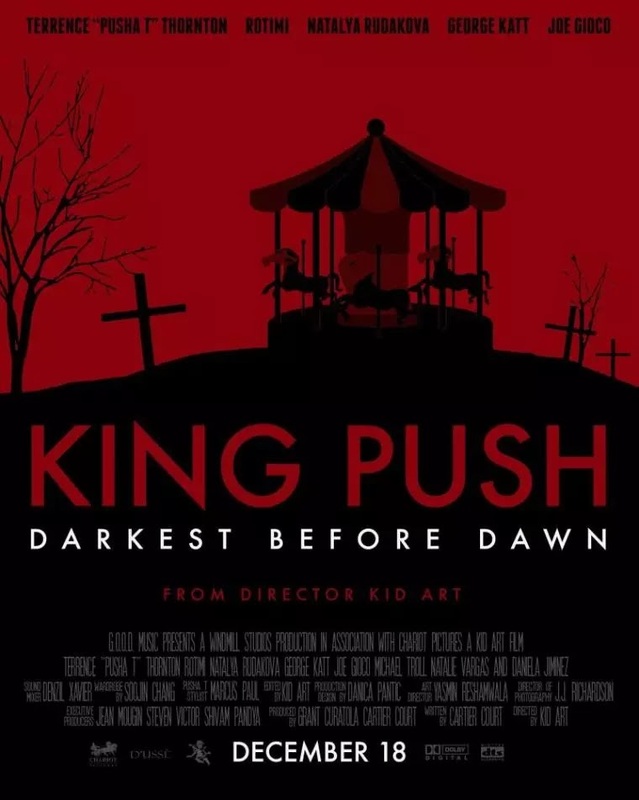 Darkest Before Dawn was only announced about a month ago, while the King Push album has been in the works since 2014. At the time of this post, King Push is slated for an April release. Fingers crossed until then. I haven't had time to scoop up Darkest Before Dawn (plan to get on that this week), but I have heard a handful of tracks. While he has many solid singles, Push decided to go another route to promote the album. The Virginia spitter and G.O.O.D. Music president followed the music video to Crutches, Crosses, Caskets with a mini movie. 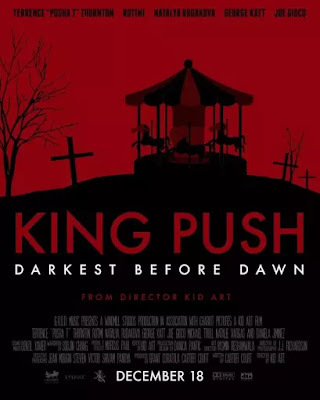 He linked up with NY director Kid Art to use Darkest Before Dawn tracks to use as backdrops for cinematic short. It is a very stylized video with quick snippets of Push laying down bars to some of the album highlights. Kid Art put together a script staring Push and rest is history. Peep the clip below. And stay tuned for Darkest Before Dawn review.